In Egypt, members of Parliament started voting on constitutional amendments which, among other things, will enable President Abdel Fatah al Sisi to remain in power until 2034. But he is not taking into account the tide of young people who might thwart his plans. The legislative committee in the Egyptian parliament voted on Sunday to extend President Abdel Fattah al-Sisi's current term by two more years to 2022, and to allow him to run for two more six-year terms. This will theoretically enable Sisi to rule Egypt until 2034. The amendments designate the military as the 'guardian and protector of Egypt' and give Sisi control over the appointment of judges and the public prosecutor. The 596 members of parliament are expected to give a final vote on 16 and 17 April. Egyptians living abroad will cast their vote on 19 to 21 April. Followed by a nationwide referendum from 22 to 24 April. "This is far from being a free and fair process", declared Moataz El Fegiery, secretary general of the Egyptian Human Rights Forum. "We have been witnessing a cosmetic process in Egypt called referendum. "But there has been no opportunity for free voices to express views on the content of these amendments. "The regime is in a hurry to adopt these catastrophic constitutional amendments," he added. El Fegiery describes the Egyptian parliament as a powerless institution largely controlled by the security services. A parliament which adopted restrictive laws and "doesn't care about the democratic transition in Egypt." Voices opposed to the regime face a fierce crackdown. Opponents are jailed. Human rights activists, journalists, actors are harassed and placed under travel ban. But there is an ongoing resistance despite an oppressive political climate. "There is a growing number of young people who are using the internet for cyber-campaigns against the constitutional amendments," El Fegiery told RFI. The government blocked the websites each time a new one is created but the campaigners have so far managed to outsmart the government. "The regime's failure to deliver economic and social progress will be the cornerstone of any new mobilisation against its policies," says El Fegiery. "In the coming few months, the regime will have to cut subsidies and endorse more austerity measures. I think this won't be tolerated." What happened in Algeria and neighbouring Sudan are "encouraging" signs for the Egyptian people. After weeks of nationwide peaceful popular protests, long term Presidents Abdelaziz Bouteflika of Algeria and Omar al Bashir of Sudan were deposed. According to El Fegiery, it helped the values of the Arab Spring to flourish again in Egypt. "It will be very hard for President Sisi today to establish an authoritarian regime given the demographic reality in Egypt," El Fegiery declares. 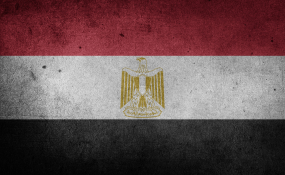 61% of Egypt's total population of approximately 101 million are under 30. It is the most populated country in the Middle East and President Sisi regards its booming population as "a challenge as critical as that of terrorism". According to El Fegiery, the Arab Spring fed the young people with a deep sense of justice and political awareness. Today, they feel they have been betrayed. "They want to see Egypt back on the track of social justice and democracy," he added. Foreign powers see Sisi as a strongman who can bring stability to Egypt and the Middle East. The United States supply 1.3 billion dollars in aid to Egypt and, last week, President Donald Trump lavished praise on the Egyptian President saying "he is doing a great job." For El Fegiery, this is a short-sighted vision. "Stability cannot be isolated from an independent civil society and human rights," he concluded.